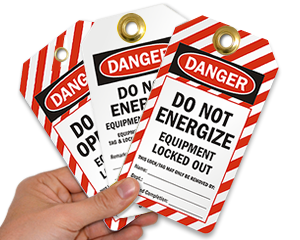 Tag your locked out equipment and machinery in a snap! 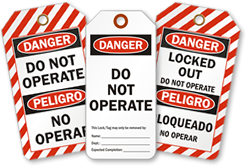 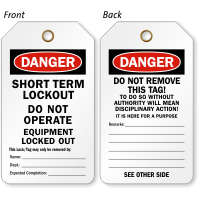 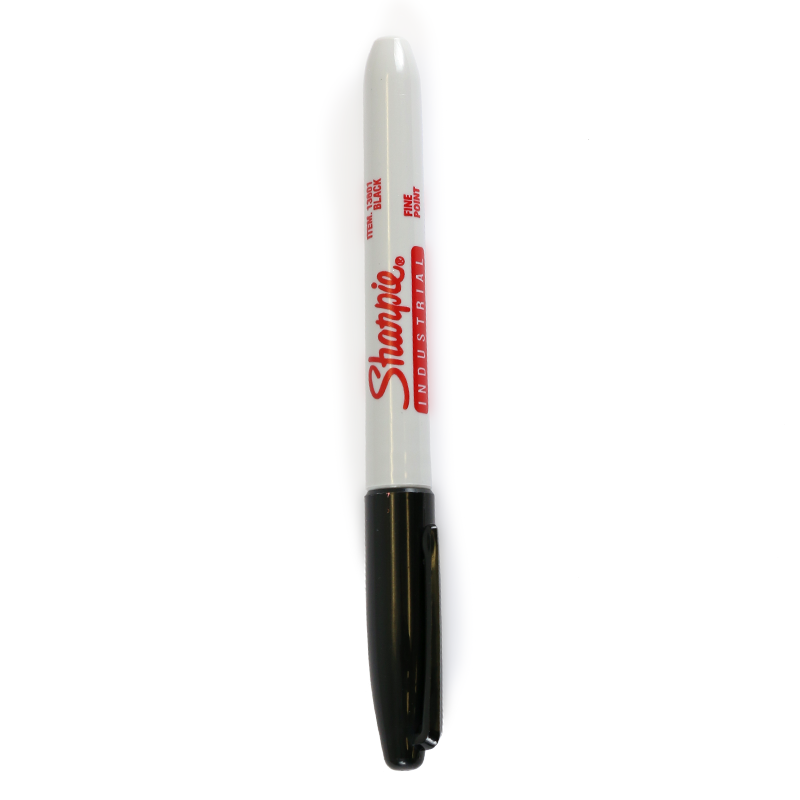 This Double Sided Short Term Lockout OSHA Danger Tag helps you to temporarily lock out an equipment. 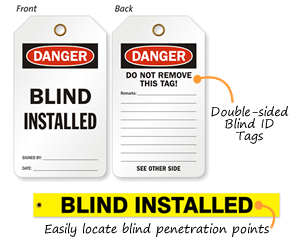 • A reinforced metal eyelet at the point of attachment helps keep the tag in place. 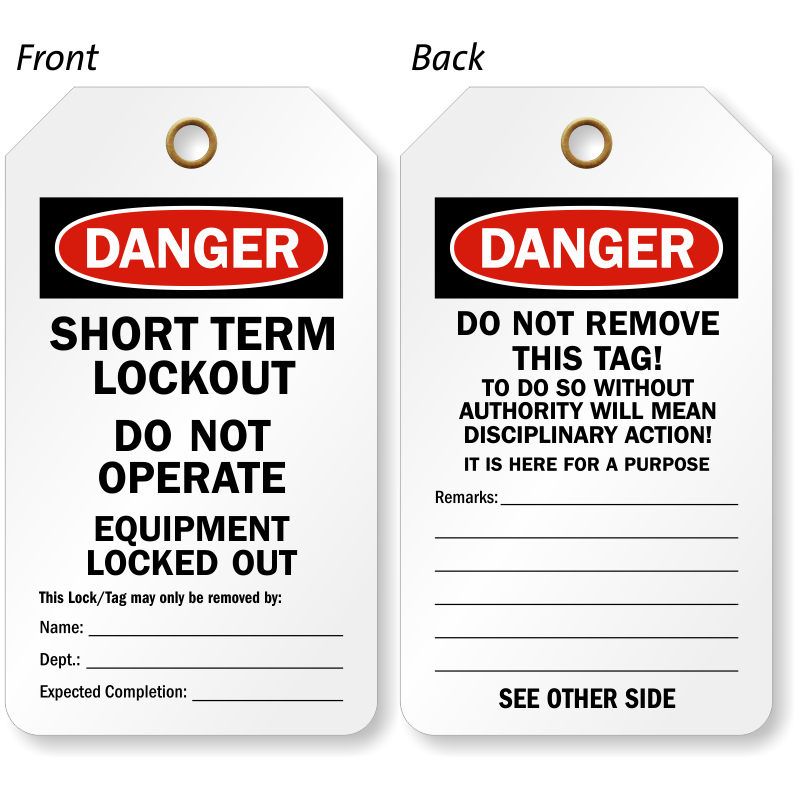 • Tag's design conforms to OSHA regulations.